Next week I fly over to Melbourne to attend the Tennis Australia Coaches Conference. I go most years to the conference as there is always something to learn. This year Nick Bolletieri is speaking so it will be worth just hearing from his insights into the sport and coaching. Prior to the conference there is an extra day for Talent Development Coaches. I have been asked to share a small presentation to my peers at the Talent Development Conference. I have decided to focus on innovations within the industry that I have learn and implemented. Hopefully this will be helpful to others and im sure that I will learn from others about their innovations. I have been in business as Scarborough Tennis Academy for 8 and a half years and ran my own coaching contractor business for 10 years before that. I have learnt from some great coaches as well as great influencers within the industry. I have picked up the innovations from professional development sessions, conferences, books, other industries, online and talking to other people in tennis and business. Some innovations that I have picked up are below. Innovation – Emphasis on rally based learning. Can still emphasise the skill but also ensures that the other kids are engaged. Can set up like a real doubles match and rotate the kids through. We have not implemented a rule where 50% of the class is active at all times. 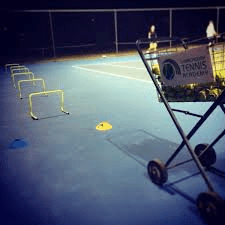 Old School – Traditionally some tennis coaches would of set up their lesson by getting the basket and trolley lifted out of the car, grab a couple of targets and they are ready for a lesson. Innovation – A nice basket along with a range of equipment is ideally set up on the court with an array of coaching aids. Pro Shops, offices and equipment sheds are required for us as coaches to look professional. Old School – Normal tennis balls were always used and the thought of modifying the court and balls was and in many cases still in as something that isn’t needed and isn’t true to the game. New School – Although I personally believe kids should use all the ball types and not just one type, the modified courts and equipment definately teach kids to rally and have the chance to learn ‘on the job’ where they can receive a ball that relative to their height. 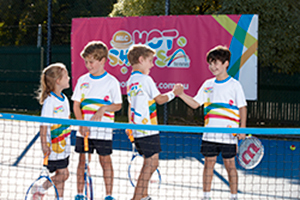 The branding and marketing value that Hot Shots bring is also very valuable and kids have a progression to follow with achievable goals all along with way. Old School – I’m only a one man business, I don’t need to worry about branding, that’s only for companies such as Nike and McDonalds. A USP???? Innovation – Whether your a big business or a solo coaching service, you need to be developing a recognisable and consistent Brand. Branding covers a very broad area but for us as tennis professionals it can include your logo and design for business cards, website, letterheads, colours, newsletters, catchphrase, philosophy, names of particular services and other unique selling propositions (USP) of your coaching/business. By building a recognisable ‘Brand’ then you can leverage your brand to expand to other locations or build a team of highly credentialed coaches (opposed to everyone only wanting you). 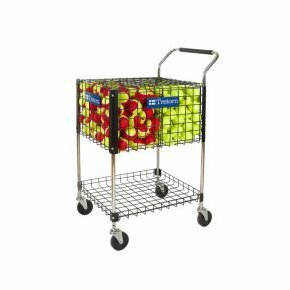 Your unique selling proposition is what makes you different or better from everyone else? 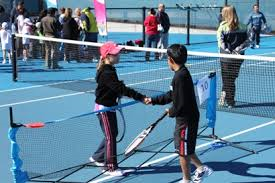 Do you focus on participation based lessons, performance lessons, corporate tennis or club tennis? what part of what you do is special ? Are you a doubles specialist? or a family focused tennis facility such as most clubs? Do your lessons all have music playing? Do your coaches have specific qualifications? Old School – The traditional flyers and advertisements in a local paper will normally state the company name, a list of the services they provide and a phone number/email at the bottom. 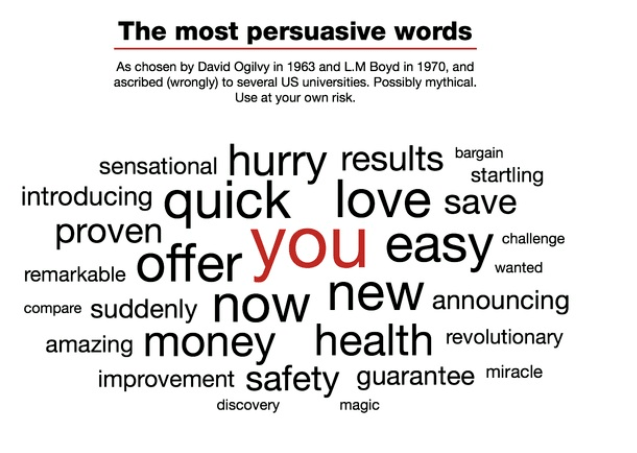 Copywriting is defined as salesmanship in print. It has nothing to do with the legal term ‘Copyright’ but we are writing ‘copy’ in every written communication we have with our clients. Any Newsletters, Advertisements, direct mail pieces, brochures, flyers, websites, social media etc are all copy that someone needs to write. Good copywriting uses a conversation style and generally follows a formula that will include – problem, solution, testimonials and a call to action (or offer). The main takeaway with this is to just focus on the benefits to your customer. Example old school – We do kids group lessons for beginners. Classes run Mon and Fri. Call 08 8339 4354. Old School – Do a lot of the administrative tasks and any other repetitive task over and over again rather than creating a faster way that can be duplicated by anyone else. 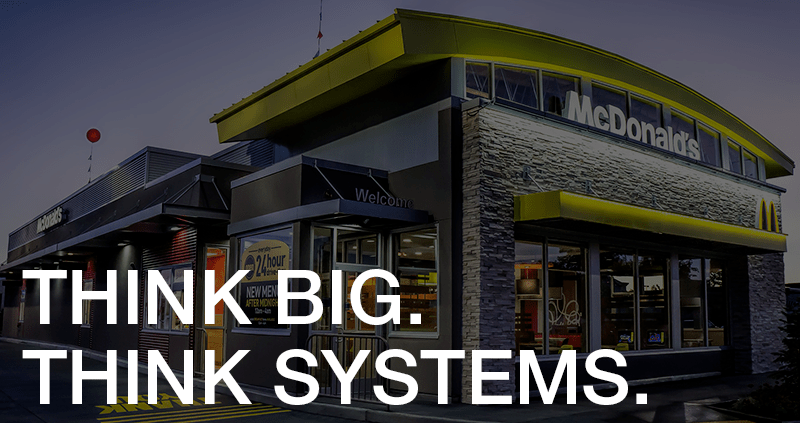 Innovation – Good business systems is why McDonalds has a bunch of 13 year old kids cooking food. There is a lot of systems with what we do in tennis in the business/organising side. We have created an operating system (or operating manual) to follow daily, weekly and yearly system. This keeps you ontop of taking enrolments, chasing any payments, getting new equipments, doing pennant coordinating, delivering flyers etc etc. In 2013 we switched over a lot of our Microsoft excel, word, quickbooks and other tools to a software solution called inTennis. InTennis by SportLogic manages all aspects of a tennis business such as class, staff, invoicing, enrolment and more. Old School – Before emails it was obviously snail mail however email has been around a long time now and the way newsletters/communication was sent out to clients was by using a contacts list on Hotmail, gmail or outlook. This can still get the job done but you miss out on more professional design and also feedback from the campaign. Use templates to make a professional newsletter or a postcard or poster. Old School – Sell a term of lessons for group lessons and then get them to re enrol each new term. Sell Private Lessons which are paid weekly. Chase payments for the rest of the term. Innovation – Solo coach or business owner, there are costs that need to be paid TODAY. Equipment, fuel, rent, mortgage, lease, lights, staff, insurance, membership etc etc. Full time enrolment – Once your enrolled, you are a part of the academy and you have a reserved place in your enrolled class. We explain this to people and give them the opportunity to pull out of the program before we send the following terms invoice. We then will get some people paying at the end of the previous term. Private Lesson packages – We sell most of our private lessons in packs of 10. We then give our clients a card that we can sign off after each lesson done. We offer a better price for paying in lots of 10 lessons and people find it more convenient anyway. Online registration and payment – This means people are paying for it straight away to register for the class. This eliminates people asking if they can pay when it starts. Old School – I don’t need a website, people find out about me through word of mouth or the local school. Also I cant afford a website anyway and I don’t understand how to use it. Innovation – Your website is your shopfront that’s open 24 hours a day from the comfort of everyone’s smartphone or tablet. 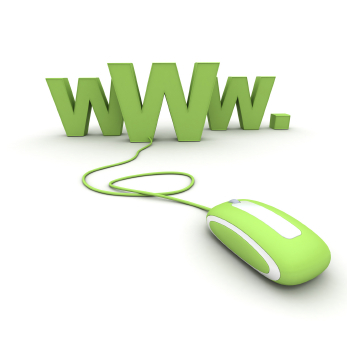 Your website is also your brochure and your lead generator and a place to gain your credibility and customers trust. My first website in 2006 I spent too much money on. I just the ultimate flash photo, graphics, cms system along with a newsletter system. This was wrapped up with my logo and stationary design but the whole lot nearly cost me $10 k. This was overkill and although the costs were much higher for websites then I also paid top dollar for what looked very professional but perhaps was overkill. I have been involved in creating 4 other websites since and then did my own Scarborough Tennis page again last year. This time by using a much easier platform, WordPress, I was able to do a lot of the work myself. I did get the help of a university student who had all the technical knowledge when I got stuck. The whole site cost me $400 and it works better than the old one. I have since spent money on search engine optimisation through a site called Elance. This cost me around $200 and simply put, SEO helps people to find my site. This can be done by tagging pages, linking to and from other sites, making sure your site is rich with content of what people may search for. Innovation – Social Media is here to stay and using it for business is an important way to generate leads, build customer engagement and loyalty along with educate and advertise to a captive audience. The ‘kids’ are there also but so are young adults in their 20’s, parents in their 30’s and 40’s and potential social players in their 50’s – 70’s. If you just advertise people will stop ‘liking’ you. If you spent time entertaining and educating your clients or potential clients then you can slide in some advertising here and there. This is no different than how a newspaper runs. Education, entertainment and advertisement. The great thing is we are just the sport pages. 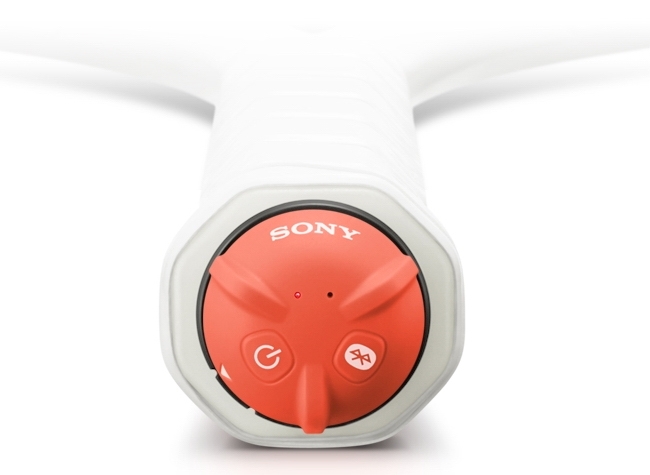 Old School – Video cameras have been used for a few years in tennis. This would of been used as a coaching aid. The thought of using videos as a way of promoting your business was once not considered. I have traditionally done mainly the tips and my players shots. I plan on using the advertising side of youtube a lot more this year. In a free video done from our ipad we can welcome potential clients and tell them a little bit about our business. I also use Apple IMovie to make motivational videos for my players. You can use their in built ‘Trailers’ which make it seem like a movie trailer but with them hitting tennis shots. This is really easy to do and kids absolutely love it. One of my students has imported a smart racquet from Japan and the potential as both a player and a coach using this type of sensor/racquet is endless.